Curtis | Castillo PC’s Attorneys have been recognized for the following accomplishments and awards on the local, state and national levels. As well rounded, knowledgeable practitioners, we continuously strive to challenge ourselves to reach higher platforms of success, and in turn, our clients benefit from our talents and expertise. Named "Texas Super Lawyer," by Super Lawyers, a Thomson Reuters partner publication/insert distributed by Texas Monthly, October 2015. Recipient of the 2015 Distinguished Woman’s Award from Northwood University. Named "Texas Super Lawyer," by Super Lawyers, a Thomson Reuters partner publication/insert distributed by Texas Monthly, October 2014. Honored by Northwood University with an Honorary Doctorate Degree in their May 2014 Commencement Ceremony. 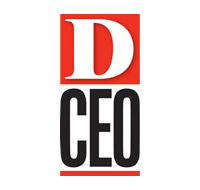 Recognized in D CEO Women Leaders in Law in the January/February 2014 issue. Recognized as a Life Fellow by the Texas Bar Foundation, May 2013. This award recognizes service and devotion to the highest traditions of the Bar. Curtis | Castillo PC recognized as one of the Top 100 Largest Women-Owned Businesses in North Texas, Dallas Business Journal, June 8-14, 2012 Edition. Martindale-Hubbell Rating: As a result of an extensive and confidential peer review, Martindale-Hubbell awarded Ms. Curtis its highest AV rating. The AV rating identifies a lawyer with very high to preeminent legal ability. Recognized by D Magazine in “Remembering the Best Lawyers,” The Best of Big D issue, August 2011. The selection process is based upon nominations and voting by peers in the Dallas legal community, followed by an evaluation process by a panel of eminent lawyers in the Dallas area. Voted one of the “Best Women Lawyers in Dallas 2010” by D Magazine. Voted one of the “Nation’s Top 5% of Attorneys” by SuperLawyers.com, (a Thomson Reuters Service) April 2007. Chosen as a fellow of the Litigation Counsel of America, April 2007. Chosen as one of the “Top Attorneys and Law Firms of Dallas” by Modern Luxury Magazine, June 2006. Chosen as a fellow of the Texas Bar Foundation, January 2006. Chosen as one of the “Dynamic Women of Dallas” by Modern Luxury Magazine, October 2007, 2006, and 2005. Named “Texas Super Lawyer”, by Super Lawyers, a Thomson Reuters partner publication/insert distributed by Texas Monthly, October 2007, 2006, 2005, and 2004. Named “Texas Rising Star” by Super Lawyers, Rising Star edition, a Thomson Reuters partner publication/insert distributed by Texas Monthly, July 2004. Voted one of the “Best Lawyers Under 40 in Dallas,” by D Magazine, May 2004. Voted one of the “Best Lawyers in Dallas,” by D Magazine, May 2003. Voted one of the “Best Lawyers Under 40 in Dallas,” by D Magazine, May 2002. Order of the Coif; Gamma Gamma Order of Omega; Phi Beta Kappa; President’s Honor Roll; Member of the Oklahoma Law Review, Board of Advocates; American Inn of Court. Click here to view attorney profile. Named “Texas Super Lawyer” by Texas Monthly, October 2015. Named a “Texas Rising Star” by Texas Monthly, 2015. Named as one of the “Best Lawyers in Dallas” by D Magazine, May 2014. Recognized in 2012-2015 as a Maintaining Member of The College of the State Bar of Texas, an honorary society for qualified attorneys who are interested in both high ethical standards and improved training for all attorneys. Master (2015) and Barrister (2012 - 2014) of the Honorable John C. Ford American Inn of Court, August 2012. Featured author in Bankruptcy and Financial Restructuring Law 2012, highlighting major milestones in 2011, anticipated trends for 2012, and overall “thought leadership” for the year ahead. Published by Aspatore Books from West, Thought Leadership Series (Thomson Reuters). Martindale-Hubbell Rating: As a result of an extensive and confidential peer review, Martindale-Hubbell awarded Mr. Castillo its highest BV rating for an attorney practicing for fewer than 10 years, BV(R) Distinguished(TM). The BV rating identifies a lawyer with high to very high legal ability. 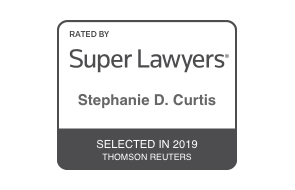 Named “Texas Rising Star” by Super Lawyers, Rising Star edition, a Thomson Reuters partner publication/insert distributed by Texas Monthly, April 2012, 2011, 2010, 2009, 2008, 2007, and July 2005. Thomas R. Mulroy Prize for Appellate Advocacy; Co-Chair: Moot Court Board, University of Chicago Law School. Recognized in 2010 for having over three times the continuing legal education required by the State Bar of Texas. Invited to join The College of the State Bar of Texas, an honorary society for qualified attorneys who are interested in both high ethical standards and improved training for all attorneys. Mr. Castillo is also frequently sought after to write and lecture on various bankruptcy and litigation topics to both lawyers and non-lawyers alike.